A dispatch engineer plays a vital role in keeping businesses going. They're essential for many businesses that might need to attend to the needs of their customers or different parts of the business at a moment's notice. When you source your dispatch engineers from Field Engineer, you're sure to get qualified engineers with experience who know what they're doing. Have a network of engineers at your fingertips with our easy to use platform. 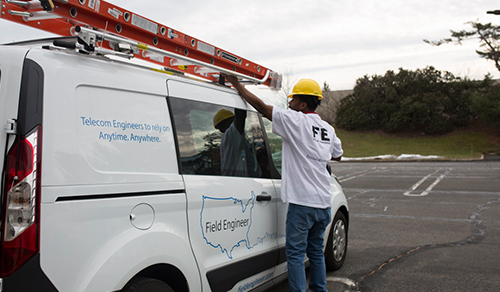 Using Field Engineer, you have access to tens of thousands of engineers in around 180 countries. You can access an extensive pool of engineers who can meet your needs, no matter where you are. Hiring a freelance dispatch engineer has never been easier. Our easy to use platform gives you the option to post a job, select which skills you're looking for and choose whichever engineers meet your criteria. You can do everything that you need to using the Field Engineer platform. Find the people that you need to hire quickly, using direct communication through messaging and seeing all of their information about their qualifications and experience. Once you have found the freelance engineer that meets your needs, you can manage your projects to ensure you get the most out of them. You can start using Field Engineer in a matter of minutes. Simply sign up and post your first job to discover all of the highly qualified engineers waiting to help you with your projects.